Now that the 2013-14 school year is nearly complete, all high school and middle school parents are invited to share their thoughts through a survey on access to technology for learning. Your responses are completely anonymous and will help make the TL2014 initiative the best it can be. Thank you for taking a few minutes to participate. This survey will close on Friday, May 16. Results from previous surveys are available above under the Assessment/Evaluation tab. The results from this survey will be shared with the school board, teachers, students and the public in late June 2014. Similar surveys will be available to students and teachers beginning Thursday, April 24. Mrs. Prokesch’s 7th grade Language Arts classes completed the poetry unit by developing a podcast using one of their own poems from the many they created this month. Students spent a day learning how to write a script, embed music and sound effects, and use different editing techniques before submitting their final podcast using Falcon Apps. 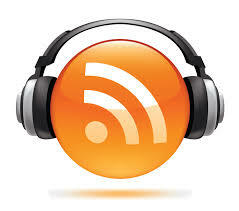 Some podcasts have been shared on Mrs. Prokesch’s website. Check them out!